We searched for the film "Freedom of the Press" all over the world. We were excited when we were told that an archive in Europe has a copy of the film. Unfortunately, the information proved to be inaccurate - they only have a trailer of the film. Still, we wished to obtain this trailer and show it to you. In another setback we were told that the poor condition of the print does not allow making copies. Thus, the film is not available for viewing, so we have to rely on newspaper articles from the 1920ies. Silent Era shows survival status "unknown". If you have any information about a surviving copy of the film please let us know. One of the greatest stories of news paper life ever shown on the screen will be seen here when "Freedom of the Press," Universal's excellent motion picture of the press and the underworld, will be screened on Saturday night with Lewis Stone in the leading role. There have been many newspaper films, but never before has there been one that depicted life as it actually existed on a great metropolitan daily. The hurrying, feverish atmosphere for which newspaper men will give up greater success in other occupations in order to remain at their typewriters in the city room, has been brought before the screen public in a dramatic and interesting manner. The battle between the forces of the underworld and the truth-telling columns of a daily is the theme of the story. George Melford, the director, was himself a former editorial writer in New York, and he has treated the story with intelligence and skill. "Freedom of the Press" is adapted from an original screen story by Peter B. Kyne. J. Grubb Alexander wrote the adaptation and the continuity. The story concerns the dramatic situation faced by a young man who finds that the guardian of the girl he loves is the "man higher up" in the municipal vice ring which his father, editor of the leading newspaper, is fighting. The editor is murdered by the ring and the boy is faced with carrying on his father's policies regardless of his fiancée's pleadings. The development of this situation makes one of the strongest dramas ever screened. Universal has a powerful story in this yarn of newspapers and graft. It is an accurate portrayal of life behind the scenes in a newspaper office and equally as accurate in the corruptness of politics in some quarters. At the same time it carries a lively romance which builds to a dramatic climax when the young son of the owner of the paper assumes command and is compelled by a promise to his father to exploit the crookedness of the father of the girl he loves. Lewis Stone heads the capable cast and he gives a splendid portrayal of the difficult role of the power behind the underworld in a large city. Henry B. Walthall is equally good as the newspaper proprietor who is pledged to give the city clean government. Malcolm McGregor is the youthful hero and opposite him is Marceline Day, ward of the corrupt politician. Both are well cast and do some effective work. 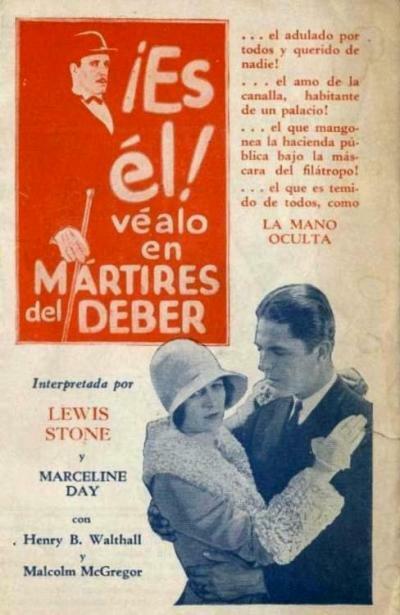 A Spanish language poster for "Freedom of the Press" (1928) with Lewis Stone, Marceline Day, Malcolm McGregor and Henry B. Walthall. 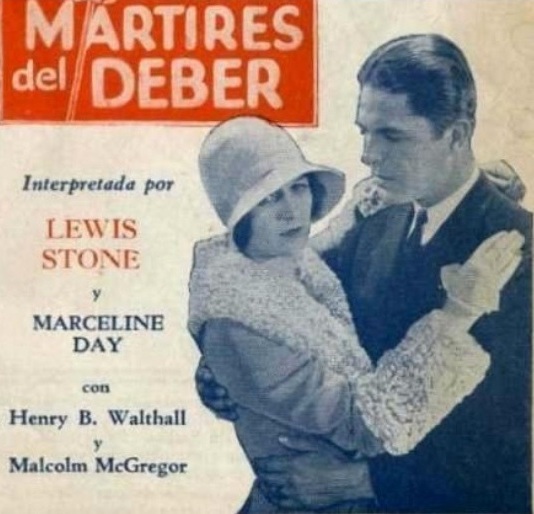 A detail from a Spanish language poster for "Freedom of the Press" (1928) with Lewis Stone, Marceline Day, Malcolm McGregor and Henry B. Walthall. 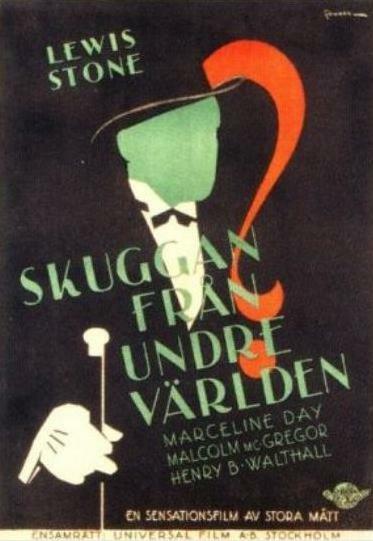 A Swedish poster for "Freedom of the Press" (1928) with Lewis Stone, Marceline Day, Malcolm McGregor and Henry B. Walthall.